One more month to Chinese New Year ! Are you guys all counting down already ? LOL. To be frank, the only thing that attracts me during this festive are the sumptuous food and CNY goodies that we probably will indulge in only during this time of the year. As a home cook, I must seriously confess that it is definitely NOT EASY to plan for a CNY meal, be it a reunion, homecoming or even a pals’ gathering. I should emphasis, it’s extremely tough, considering the need to take everyone’s differing taste buds into consideration plus the massive amount of marketing, planning, preparation, cooking and finally the BIG WASH UP at the end of the day too. Just thinking of that somehow deters me from wanting to prepare any reunion feast at home. Well, considering we are in a country where modern day foodies has no lack of food options, there’s always help from many sources when it comes to such dire situations. And the most efficient and best of it all, is probably a buffet catering ! 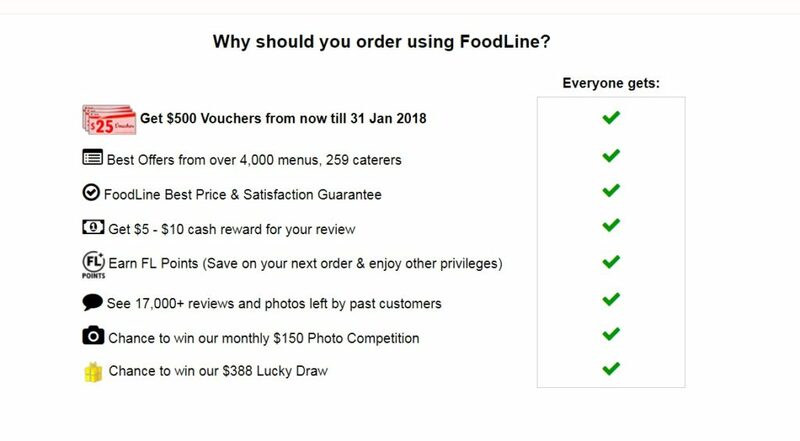 FoodLine provides a one-stop portal for all your Chinese New Year Buffet Catering 2018 needs with a comprehensive list of caterers that you can choose from, genuine reviews from actual consumers plus a best price guarantee deal be, whether in terms of price or satisfaction level such that no one else in the industry can beat. No occasion is too big or small on FoodLine, as their ultimate list of caterers go beyond anything from party sets for a mini family catering of 5 to 10 pax to large corporate events with full fledged buffets for that can fulfill up to 100 pax, during this festive. In addition, cash rewards and FL points are gifted with every catering job ordered and that’s simply no reason to say no to such attractive perks, isn’t it ? And here’s a real deal for all Eat What Tonight’s readers from now ~ Enjoy $38 OFF your orders on FoodLine.sg by using the code: EWT38 with minimum spend of $350, valid from today till 31 December 18. 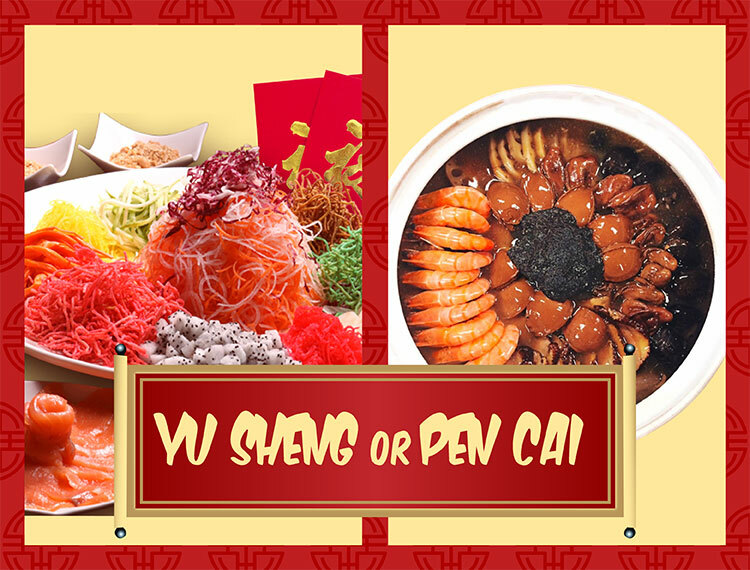 So hop onto FoodLine today to eliminate all your food planning hustles for this Chinese New Year today !